A super quick explanation of how guns work. We’ll begin with the easy definition of what is a gun, different components of the bullet cartridge, some gun actions, and loading mechanisms. At its core, guns are things that launch projectiles of some sort at high speed. The first guns were just tubes with explosive and a projectile…think cannons. Modern guns have come a long way. 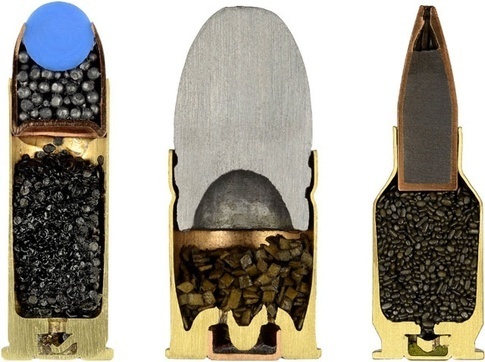 Here you can see the expanded view of a typical rifle cartridge. Quarter for size. 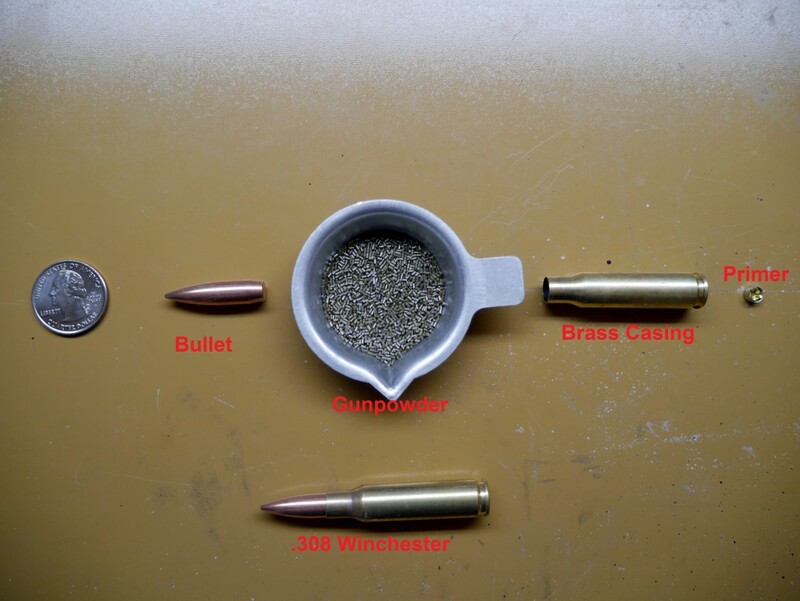 And here are cross-sections of a variety of pistol/rifle cartridges. Not to scale with each other. And one for a standard shotgun shell with birdshot. Note the addition of the “wad” that encircles the shot. This is the plastic thing that you see fly out when you shoot a shotgun. Different types of guns have different mechanisms of how to ignite the primer to burn the gunpowder, but there is almost always a rounded metal object called the “firing pin” which strikes the primer and starts the process. 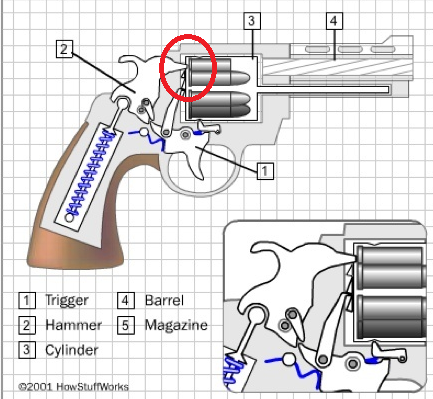 Below you can see that the firing pin is attached to a “hammer” in a revolver. 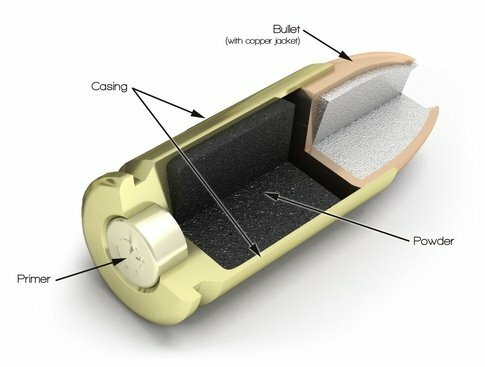 Most guns will have a mechanism that gets rid of the spent casing and moves in a fresh cartridge. 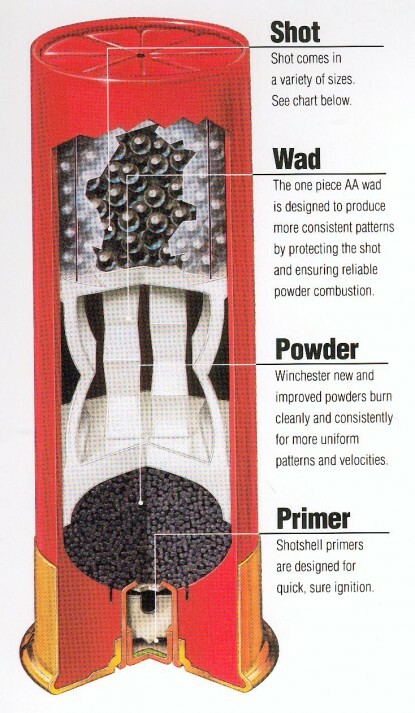 Some of these include manual actions, using the recoil from the explosion, or using expended gas from the explosion. We’ll go over these in detail in further lessons. But for now, here’s some slow-motion of guns in action. 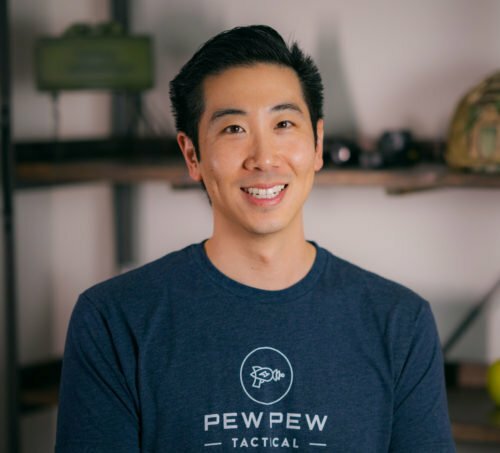 Looking for a comprehensive handgun video course that only goes over the most important stuff…with none of the attitude? Check out our very own Gun Noob to Gun Slinger course. I really feel like i should be paying for this info. THANK U SO MUCH!! This was very interesting. Thank you for helping me understand what my gun is all about. Very well done. In-depth enough to remain informative but barebones enough to not be confusing. 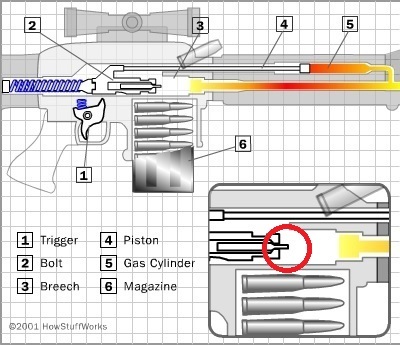 The diagram you added on an automatic rifle’s gas blowback system was particularly good. It’s as if you could imagine the gun firing and walking through the steps just looking at it. I’m a newbie and I like this! Thank you.